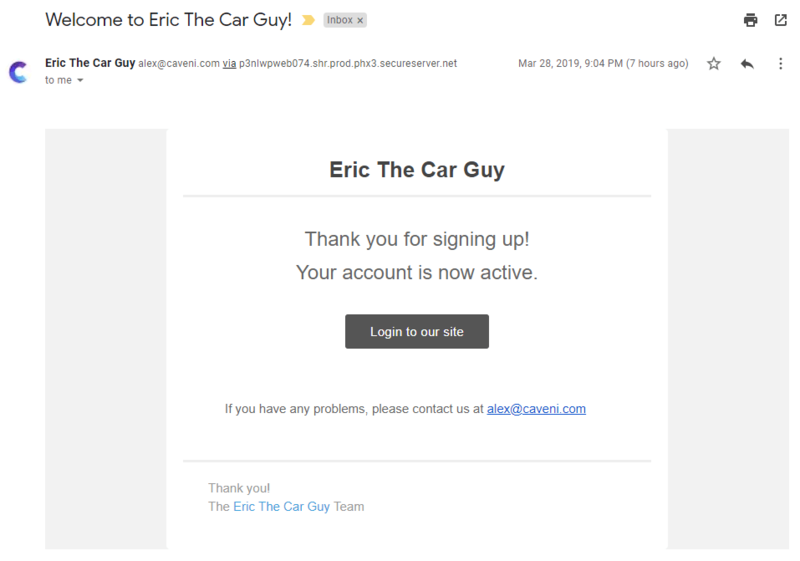 Mysterious "Welcome to Eric The Car Guy" email? - EricTheCarGuy - EricTheCarGuy- Stay Dirty! Mysterious "Welcome to Eric The Car Guy" email? Is this a semi-secret new site¹ in the making that accidentally sent out emails or a scam site that somehow got my email address from here? The email not coming from the same server makes me question this even more. I've deliberately made anything the forum could convert into a link above non-clickable. Replied by onyx on topic Mysterious "Welcome to Eric The Car Guy" email? No this i was a spam message. Please ignore it.